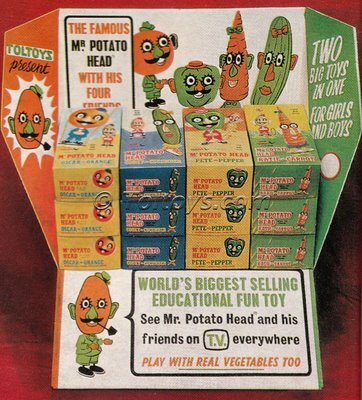 Check out this great Toltoys Mr Potato Head counter-top retail display! 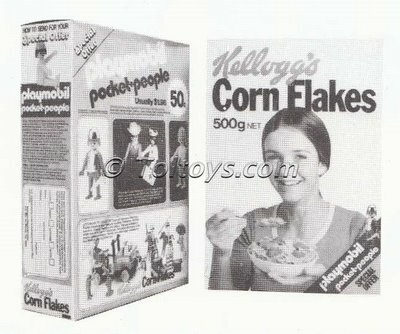 Full of minty boxed Toltoys branded Potato Head friends, these would have graced the counters of toy stores Australia wide in the late 60’s. But it’s not too late to celebrate, so I’ve called up the lads and they’ve rocked around with a a few cases of frosty Lowenbraus! 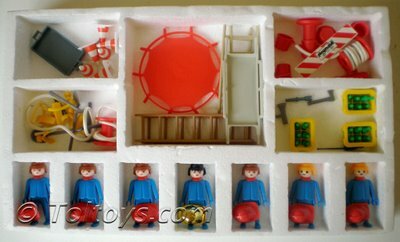 It’s not possible for me to hold my little Kenbrite Pocket People mates (Known to the rest of the world as Playmobil) in any higher esteem than I already do, I mean how many toys do you know that came accessorised with cases of beer? 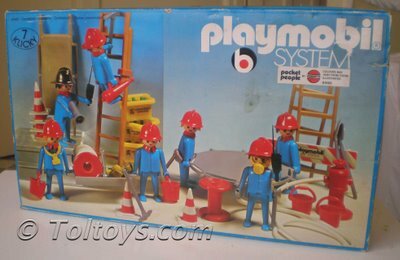 After a hard days firefighting a bloke needs a brew, and Playmobil knew it. 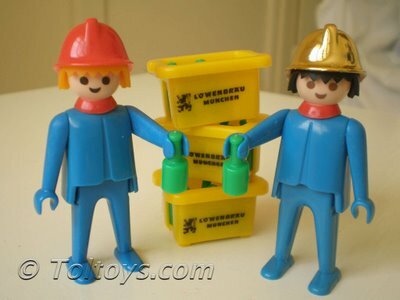 So here’s cheers to Playmobil and their visionary design crew, and to all the supporters and contributors of Toltoys.com over the last two years.